On June 19th in Addis Ababa, Ethiopia RES4Med&Africa will celebrate for the first time in the African continent its seventh Annual Conference. Bringing the Annual Conference to Africa offers a unique opportunity to consolidate and expand RES4Med&Africa’s well-established dialogue with key public and private sector stakeholders, multilateral institutions and civil society organizations working on accelerating access to clean energy as a foundation for inclusive, sustainable development in Africa. Africa faces tremendous opportunities for growth in the coming decades. Though individually very diverse, many African countries are reflecting encouraging macro-economic trends, such as dynamic economic and population growth, rapid urbanization and an expanding middle class with growing spending capabilities. With half of its inhabitants younger than 25 years old, Africa’s working population is expected to surpass that of China by 2035. Still, a widespread access to energy in Africa is a precondition to unlock its potential for sustainable, inclusive, economic growth and make a difference in hundreds of millions of African lives. Electricity is the enabler of income-generating activities, powers value chains and accelerates development impact that in turn can empower communities, develop healthy societies, foster business growth, and improve African livelihoods. Meeting Africa’s energy access challenge needs innovative approaches. Along with increasing generation capacity and expanding grids, closing the energy gap requires a shift from the dominant commodity-centered to a service-provider approach enabling the increased use of renewable energy far beyond electricity supply into all end use sectors. This business-model change is happening worldwide yet holds even more promise in Africa where electricity can truly act as an enabler of much-needed socio-economic development. The Water-Energy-Food (WEF) Nexus offers an innovative approach to address simultaneously energy access, food security and access to clean water in African countries. 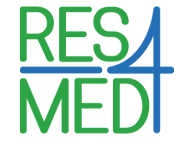 RES4Med&Africa has set the scene of its 2019 Annual Conference to be the ideal fora to analyse the WEF Nexus as a new paradigm of opportunities for investors who seek to close the energy gap in Africa, opening innovative, holistic and customer-facing business models, combining as many services as energy, food and water value chains can provide.